So you’ve tried IV therapy at Elevation Hydration and you want to share the benefits with your family, friends, teammates and colleagues. Who wouldn’t!? Elevation Hydration treatments are a healthy, relaxing, fun group activity. Schedule your party at our Colorado Springs clinic, or have our skilled team of nurses & paramedics come to you with our concierge IV service—either way, private party IV therapy has health advantages for everyone! 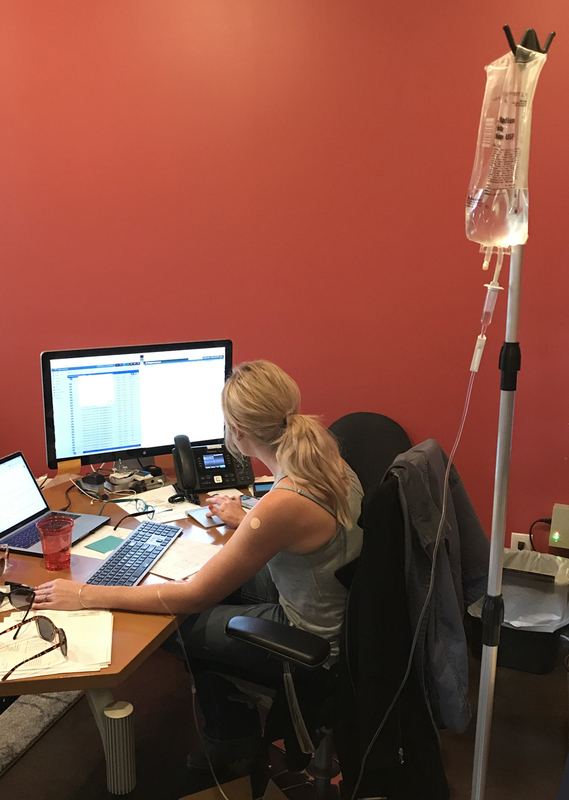 Treat your employees to IV treatments in the comfort of your office or company headquarters. Vitamin infusions are a great addition to any corporate wellness program or just a fun way to reward the team for all their hard work. Call us to book your corporate IV party!